I think it’s fair to say that my 2015 Reading Challenge has got off to an excellent start! Today I finished reading my 5th book of the year, and we’re only two weeks into January. You may recall that the last book I read, “The Rosie Project” by Graeme Simsion, was recommended to me by Giovanna Fletcher via her YouTube channel (not directly, obviously). 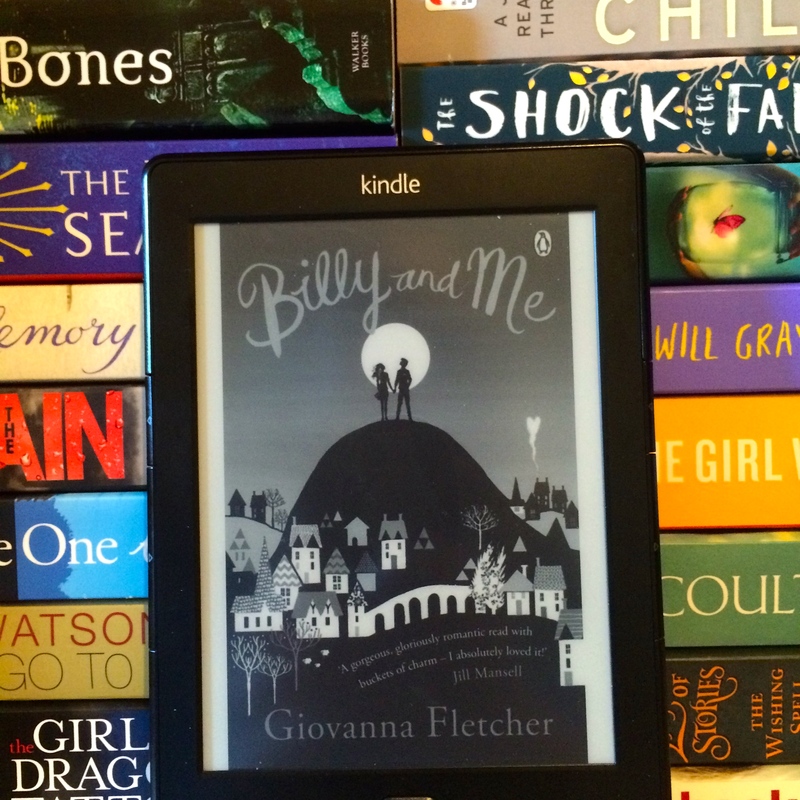 I picked up this particular book and absolutely loved it, so I figured that if Gi loved it, maybe her writing might be similar, so I decided to pick up her first novel “Billy and Me”. Gi was only 28 (I believe I’m correct in saying that) when this novel was published, so it comes fittingly into the category #6 A book written by someone under 30. Having read a lot of books over the years, with very few of them having been written by a young author, I wasn’t sure what to expect, but I dived in full of hope. “I really, really wanted to love this book, and so it pains me to say that I didn’t. I’ve been following Gi avidly since she began YouTube-ing frequently, but I’ve been following her on Twitter for a while longer. I knew this book was due to be released in 2013, but I’ve never felt compelled to read it until now. I loved the first 20% and the last 20%, but the middle just felt like filler material to me. I honestly didn’t really care for Billy and Sophie’s story, I was much more interested in Sophie and Molly’s story. Molly definitely felt like the main, larger than life character in this novel, and I felt her presence throughout. I thought Sophie was a bit wet and needy (understandable after the trauma she suffered when she was eleven, but I just didn’t care about her as much as I should have done). Billy was every bit the Prince Charming for the first 20% of the novel, then he became the exact person I’d chose to avoid in real-life, so I didn’t feel as though I really cared about whether they ended up together. The saving grace of the novel was, unquestionably, Molly. I felt every emotion with her, I laughed and I cried (a rarity at a book, I must say). I can’t as yet judge whether Gi’s writing improves over time, but I certainly hope that it does. Since I own her second novel “You’re The One That I Want” and her “Christmas With Billy and Me” novella, I’m certainly going to persevere, and hope that as she becomes more experienced, she also becomes more accomplished. I can’t really comment on the works of many other young authors – I have a few on my TBR pile (you should be able to spot at least a couple in the background of the above picture) – and I’ve generally had mixed feelings about many authors’ subsequent novels. For now I’ll just have to assume that Gi’s later books are better written with more interesting premises (although I do concede that with contemporary novels, it’s very hit and miss). Five down, forty-five to go.